It was a scene straight from Memorial Day, but this scene played out on August 12th, the day that marks the end of a life but honors an ongoing legacy. 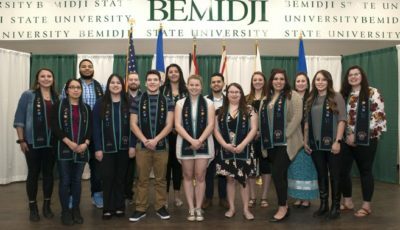 Each year, the Bemidji American Legion Post that bears the name of Ralph Gracie honors its namesake as a way to never forget the first soldier that was killed in combat from Bemidji. Gracie can be considered a pioneer as he flew with the American 17th Aero Squadron with the British Royal Air Force in World War I. For a young man with a rural upbringing, high flying adventures called his name. Flight records and personal letters from Gracie document his tour of duty, leading all the way up to his final flight. At the young age of only 25 years old, a young Ralph Gracie made the ultimate sacrifice, unknowing at the time the legacy he would leave behind. While leaving a legacy, he also leaves a story of inspiration like so many others who gave everything for the love of their country. 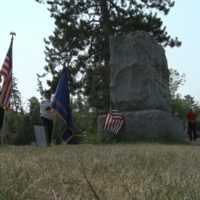 With traditions like this, and saluting Bemidji’s first fallen soldier, the Ralph Gracie American Legion Post 14 hopes that his story will continue to live on.